Pushing speeds up to 866 Mbps on its 5 GHz band and up to 300 Mbps on its 2.4 GHz band, the EAP1200H support the latest high-speed, 802.11ac laptops, tablets and cell phones. 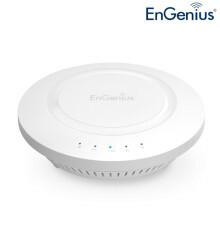 Penetrate floors, ceilings and walls for greater device connectivity with 4 internal 3D sectorized high gain antennas and up to 26 dBm of transmit power per band, providing more than 2Xs greater wireless coverage over mainstream competitors. Supports both 2.4 GHz and 5 GHz frequency bands for expanded user capacity with a greater number of channel availability on the 5 GHz frequency to support higher bandwidth applications like HD video streaming. Perfect for startups wishing to setup a network or larger enterprises looking to expand an existing network. Customize Wireless Access for Different Company Departments or Workgroup, Configure the AP to broadcast to up to 8 SSIDs per frequency band and tag each one to a specified company network VLAN for different user access based on established access rights. Choose one of two modes available depending on user needs: Access Point or WDS (AP or Bridge). 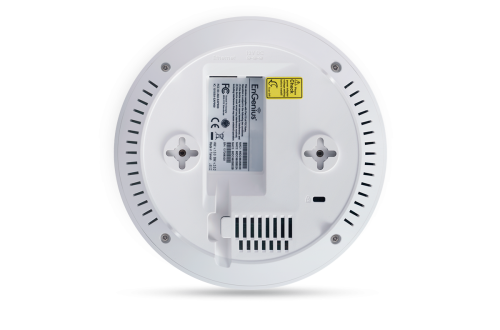 Stylish, Low Profile Ceiling Mount Design Plus PoE Support Blending nicely with common building infrastructure appliances, this low profile, smoke detector-style ceiling mount is perfect for settings where aesthetics or discrete ceiling placement is desired. Power the AP via Power over Ethernet (PoE) from an 802.11at-rated Switch, 802.11at-capable PoE Injector or directly to power outlet. 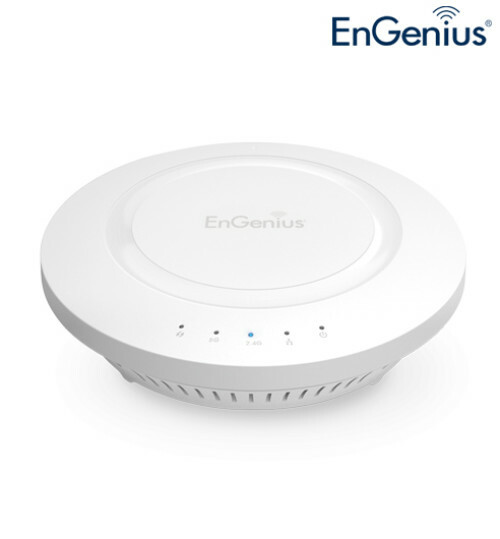 Supports industry wireless encryption standards such as Wi-Fi Protected Access (WPA/WPA2 Enterprise/PSK), 802.1X with RADIUS and MAC Address Filtering for a more secure network.